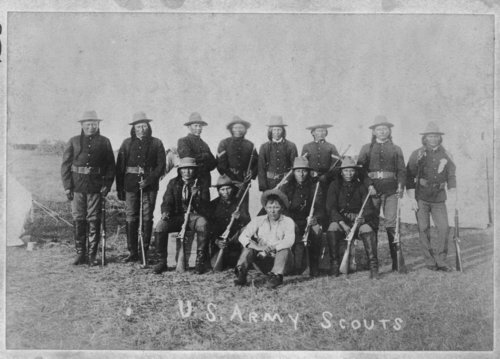 A photograph of thirteen Cheyenne U.S. Army Scouts posed with their firearms, 1884. Location unknown. Funds for digitization provided by Mr. Steve Peckel in memory of William Chalfant.